Kislay Kumar Verma from Patna, B.E. - B.Tech Graduate. COMPUTER HANDLING OPERATING SYSTEM MS OFFICE NETWOKING AND SOFTWA..
are one of expert skill area's of Kislay Kumar Verma . 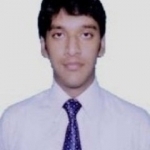 Kislay Kumar Verma is working in IT Software industry.